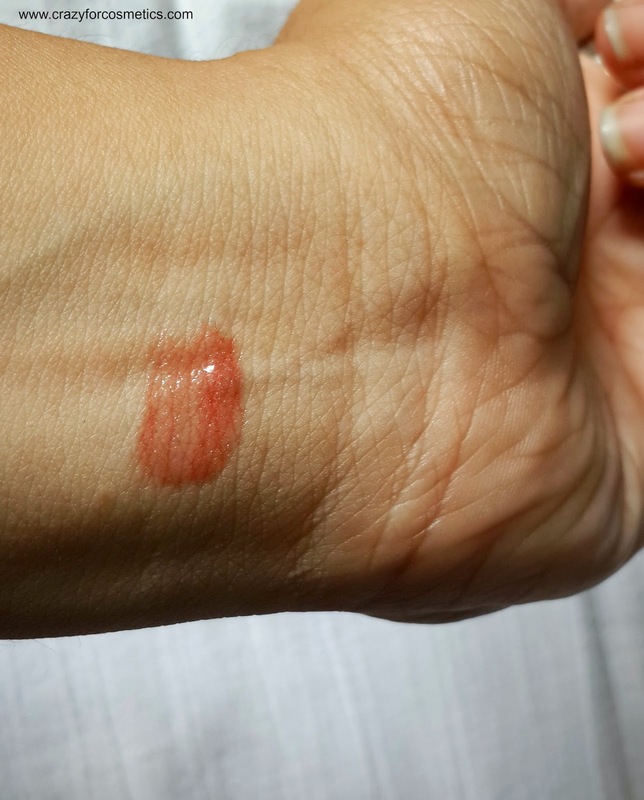 Bobbi Brown is one among most raved about brands in blogosphere but Bobbi Brown store still hasn't come to Chennai :( .I have seen several Bobbi Brown counters in Hongkong and I feel rather guilty that I was too ignorant then & did not bother to even have a glance of what it offered. Do check out my Giveaway Here.. 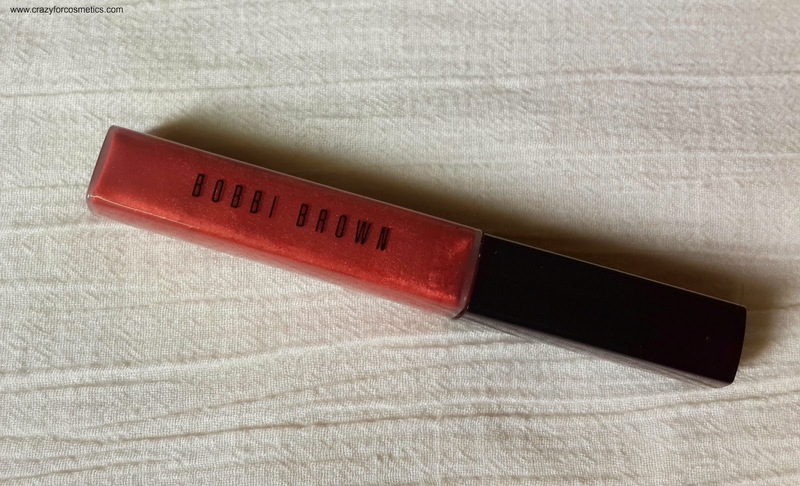 The Bobbi Brown Lip Gloss in Ruby Sugar was gifted to me by my friend.The fact that I own this makes me so excited & what next - sat down to write my experiences with it.I have been using it everyday since I got it & I am in love with the shade. Shimmer Lip Gloss offers beautiful, non-sticky shine with a touch of iridescence and is perfect on its own or over your favorite lipstick. Formulated with Aloe Extract to soothe and soften lips; Vitamins C and E for anti-oxidant protection; and Jojoba and Avocado Oils to moisturize lips. 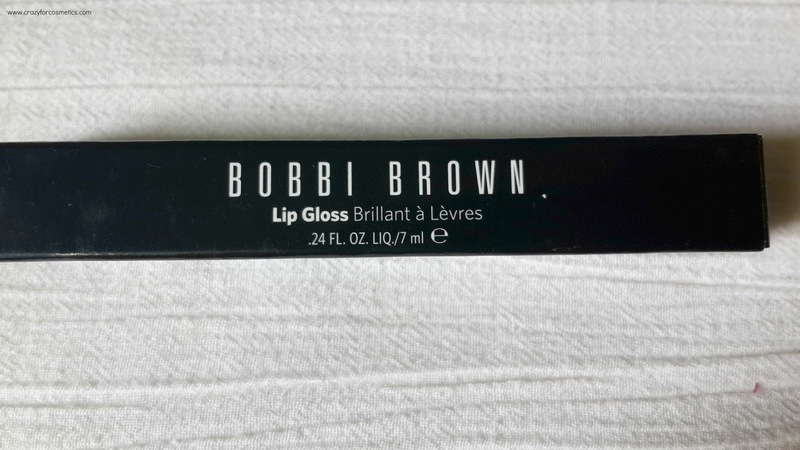 The lipgloss comes in a very classy rectangular tube where the shade is visible & it has the perfect doe foot applicator of the right size.The entire lip gloss is very compact and it has the text Bobbi Brown printed on one side of the tube and lip gloss printed on the other side of the tube. The shade name is printed at the bottom. The shade caught my attention the minute I opened the outer carton, such a pretty maroon shade.I have a weakness for jewel tones products be it an eyeshadow or lip color. 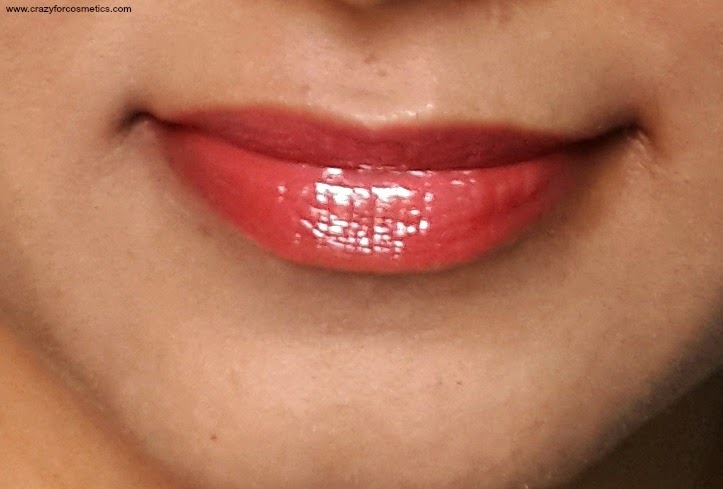 It has a lot of golden shimmer particles which ends up making the gloss a sheer one. 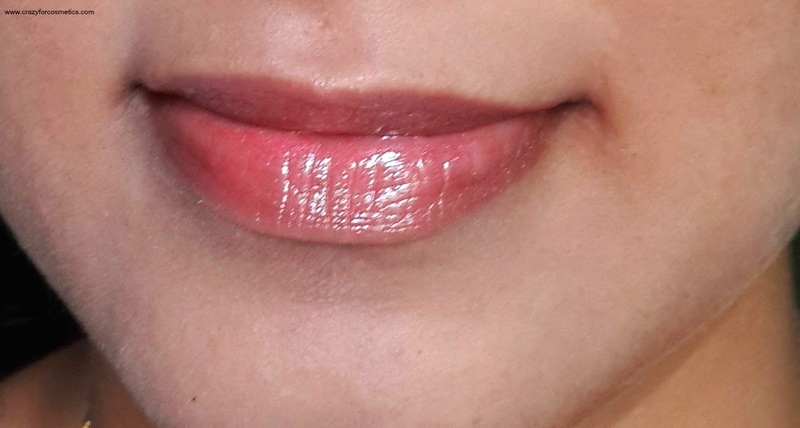 I had a lot of expectations in terms of pigmentation since it was a dark color but it appears sheer on my lips because of the excessive shimmer in it(Fine I know, thats what the company claims as well-Shimmer Lip Gloss )If only the pigmentation was better, it will look perfect even without a lipstick underneath. The texture of the product is slightlysticky unlike what it claims but it does hydrate the lips. My lips feel soft even after the lip gloss has completely faded away. 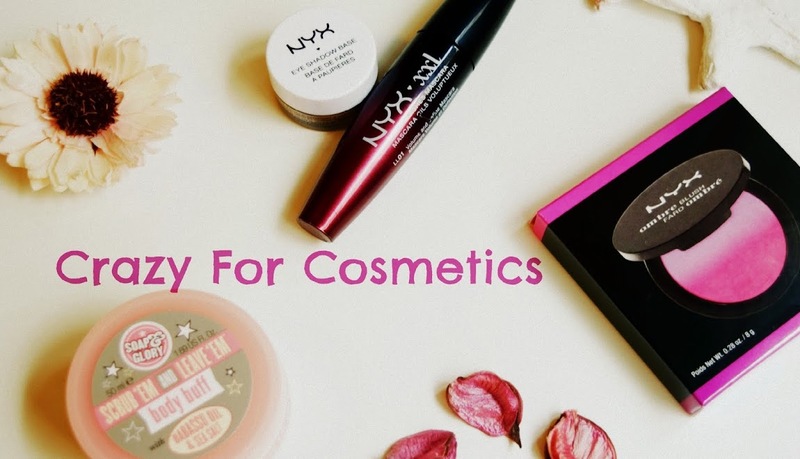 Will I repurchase ? I would love to try other shades from the range. Shouldn't you own one after seeing the swatch ?? 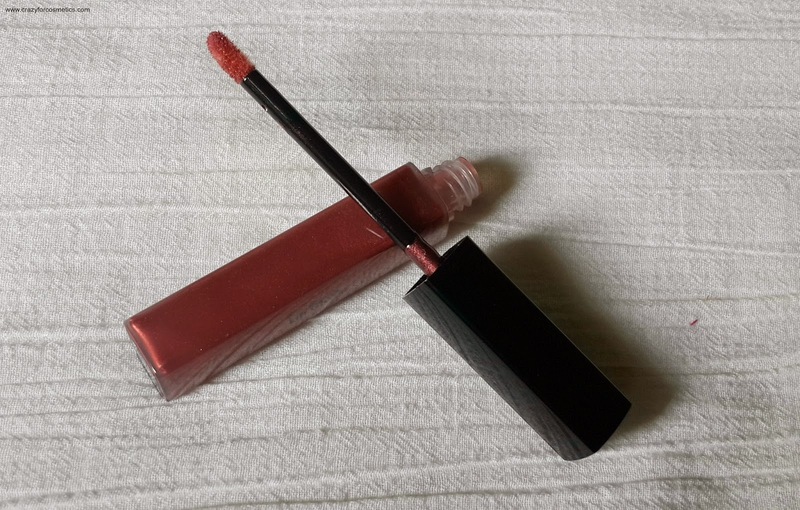 Bobbi Brown Shimmer Lip Gloss is a product that will add glam when you layer it on top of a lipstick. 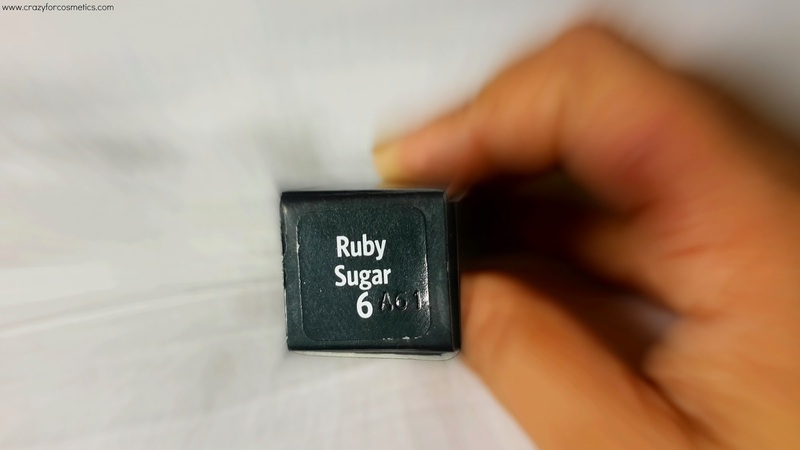 Ruby Sugar is indeed a very pretty shade.